If you are unable to use any of our convenient Islandwide stockists, you may purchase online through Bank of Butterfield. 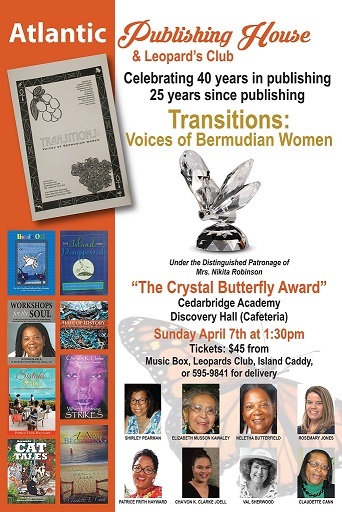 Cat Tales has attracted attention of Atlantic Publishing and I was given a Crystal Butterfly Literary Award in April. Read Jessie Moniz Hardy's story in the Royal Gazette. Or go to Bernews and read and hear about Tucker Man and his story. 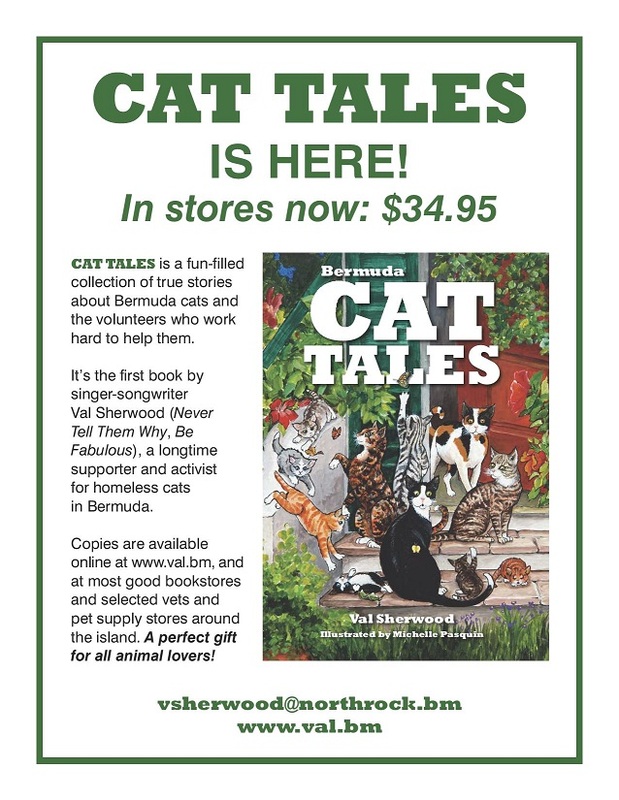 Generously sponsored by Butterfield & Vallis. Our aim is to provide a superior product and with excellent customer service. We guarantee your satisfaction on every order. If you are unhappy with your order for any reason, e-mail us at order@val.bm. name of person who placed the order, date paid, phone number, and an explanation of the problem. All orders are subject to product availability. The date of delivery for your order may vary due to carrier shipping practices, delivery location, method of delivery and the quantity of items ordered. You are responsible for all taxes applicable to the delivery of your order, including sales tax, value added tax, custom duties and excise duties. If there is any damage to the items that you ordered on delivery, you must contact us within 5 days from receipt of your order.